My first career was spinning records on the radio. Interestingly, we have a vinyl record comeback that has been taking the world by storm. Over the past decade, we have witnessed the vinyl record comeback, as well as the return of the music store. You may recall that distribution of music by CD took over from analog records during the late 1980’s. More recently, downloading and streaming have knocked back the CD business. Most new cars don’t even have a CD player, just USB ports. Music industry statistics are fascinating. We spend more time listening to music than ever, but industry revenue is rebounding more slowly. Revenue growth comes mainly from paid streaming, which has taken over from physical media as the main form of consumption. People are downloading less, both licensed and ripped. Our vinyl record comeback now accounts for much of physical music sales, or about 4% of revenue overall, with double digit growth each year. Record stores have sprung up all over. Entrepreneurs have been investing in vinyl pressing plants for the first time in more than 30 years. This trend back to vinyl covers many demographics. Most proponents describe music on vinyl as “warmer” than heard in digital form. Plus, there is something about having something physical for your money. You usually get a digital download bundled with many new vinyl distributions. Now, that is interesting, because most people don’t actually own music any more. You just rent it over a streaming service to your phone. For me, the attraction to vinyl has nothing to do with analog versus digital. It’s simply the lack of compression. While the audio on records is highly equalized, it largely retains its original information and dynamic range. You might be interested in the technology underlying vinyl records. Even more fascinating is the original production process. Check out this 1956 documentary on how records are manufactured. Historically, record making was very labor intensive. With new manufacturing techniques, the process is now highly automated. I have a couple of boxes of vinyl records that have been sitting in the basement for nearly 40 years. 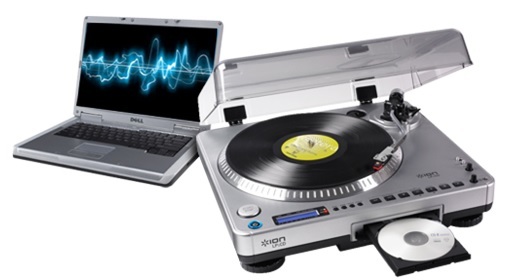 Perhaps it’s time to buy one of these new USB turntables and give them a spin. Remember, a lot of this vinyl record comeback really is hype. Before you run out and buy vinyl, take note that pretty much every disc is pressed from a digital, rather than analog, master.